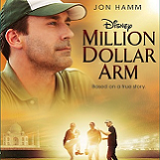 From the studio that brought you Miracle and Remember the Titans, comes the inspirational true story Million Dollar Arm, sliding home on Disney Blu-ray, Digital HD, Disney Movies Anywhere, DVD and On-Demand Oct. 7, 2014. Set against the backdrop of America’s favorite pastime, this must-own baseball drama stars Jon Hamm (“Mad Men,” The Town, Bridesmaids) as a sports agent who sets out in search of the next great major league baseball pitcher and ends up discovering the true value of teamwork, commitment and what it means to be a family. 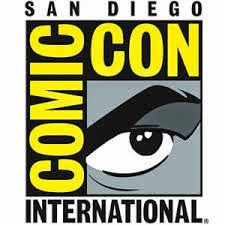 Million Dollar Arm stars Jon Hamm, Suraj Sharma (Life of Pi), Madhur Mittal (Slumdog Millionaire), Bill Paxton (“Big Love,” Apollo 13), Lake Bell (“Boston Legal,” No Strings Attached) and Alan Arkin (Argo, Little Miss Sunshine). BURBANK, Calif. July 11, 2014— Cheered by audiences and critics alike, this “genuine crowd pleaser” (Pete Hammond, Movieline) delivers major league fun on Blu-ray and Digital HD with grand-slam high definition picture and sound that bring the excitement of the stadium experience right into viewers’ homes. 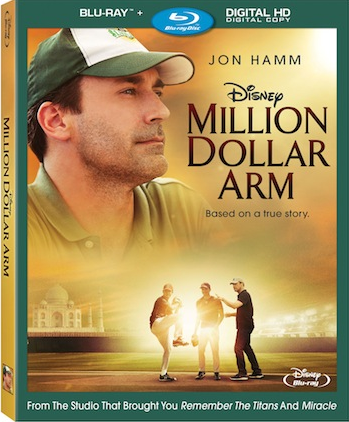 The in-home release of “Million Dollar Arm” also steps up to bat with bases loaded with exciting bonus features, including an alternate ending, deleted scenes, outtakes, the making-of featurettes “Training Camp,” “Their Story,” “Million Dollar Music by A. R. Rahman,” and more!